Two children's hospitals in the D.C. area rank among the 10 best in the nation, according to new ratings from U.S. News and World Report, which tally up the best-performing children's hospitals across 10 pediatric specialties, including cancer, cardiology, neonatal care and neurology. WASHINGTON — Two children’s hospitals in the D.C. area rank among the 10 best in the nation, according to a new analysis from U.S. News and World Report. Johns Hopkins Children’s Center in Baltimore ranked No. 5 and Children’s National Medical Center in D.C., ranked No. 10 on The U.S. News’ “honor roll,” which tallies up the best-performing children’s hospitals across 10 pediatric specialties, including cancer, cardiology, neonatal care and neurology. Both hospitals are among just two dozen hospitals nationwide to rank in the top 50 across all 10 specialties, said Ben Harder, chief of health analysis at U.S. News. “The fact that we have two hospitals in the D.C.-Maryland-Virginia area that are ranked in all 10 specialties really means that these are hospitals that do well across a broad swath of pediatric care and can really be an asset and resource for the community whenever there’s a challenge for children who are sick,” Harder told WTOP. Children’s National is ranked No. 1 in the country when it comes to neonatology — caring for ill or premature children immediately after birth. “There are lots of great hospitals in neonatology — you don’t have to be No. 1 to be a great place to get neonatology care — but certainly Children’s National Medical Center is very good at taking care of kids who are born and need immediate care in that critical neonatal period,” Harder said. More broadly, the rankings reveal the region as a hub for “exceptionally good” neonatal care, Harder said. Johns Hopkins came in at No. 4 for neonatal care; The University of Virginia Children’s Hospital in Charlottesville ranked No. 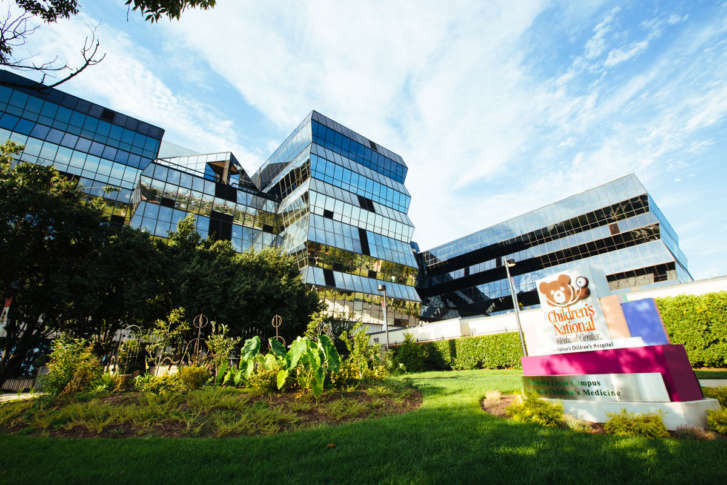 30; and Inova Children’s Hospital in Falls Church, Virginia, ranked No. 44. All told, 113 hospitals provided data, U.S. News said. Boston Children’s Hospital, which has been ranked the overall No. 1 children’s hospital in the U.S. since 2013, again took the top spot this year. Last year, neither Johns Hopkins nor D.C. Children’s National ranked in the top 10. “Our goal is to provide patients and families and parents of sick kids with good advice, with information that they can use to make more informed decisions about where to seek care,” Harder said. There are other medical specialties where D.C.-area hospitals performed well in the rankings. In nephrology — the term for caring for kidney problems — Children’s National ranked No. 10; Johns Hopkins ranked No. 11; and Children’s Hospital of Richmond at Virginia Commonwealth University ranked No. 44. Several of the hospitals in the D.C. area also ranked among the top 50 nationally for cardiology. Johns Hopkins ranked No. 34; Children’s National in D.C. ranked No. 32 and the University of Virginia’s Children’s Hospital ranked No. 44.